Quality at the Lowest Price ! The vivid colors will literally pop out of the material, and bring the customers to you! Your products or services deserve to look the best they can, and color copies can do that for you! Our 8.5x11" full Color Copies for day care service will spark the interest of parents and the 8.5x11" color copies for transportation company will generate sales by attractively and graphically providing information about your business and displaying your products or services. Color copies printing are the perfect way to advertise for your business if you send out support letters, thank you letters, or company newsletters. Color copies printing are bold and vibrant, and provide customers and clients with the feeling that they are appreciated. 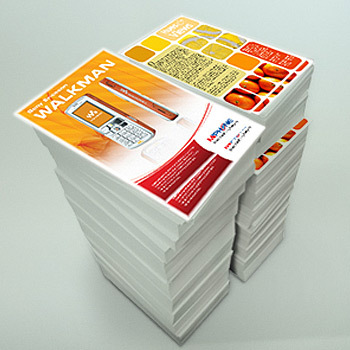 Color copies printing is the cost effective way to promote your business and to reach your clients whenever you want. The printing will be on one side of the paper. The printing will be on both sides of the paper. Paper weight is specified by basis weight in pounds (# or lb). The most frequently used copier paper has a basis weight of 20 lbs. This is thick white glossy paper with glossy shine on it. It is heavier than 80lb. 100lb is also coated with glossy finish. Flat paper without any folding. This is not quite in the area of design, but it's a good idea to decide who buys your product or what group or type of individuals to whom you'll be selling. 2. Start a swipe file. Gather up everything you see or that comes in the mail or across your desk that impresses you. You may be able to adopt it to your needs. 3. Think about basic design, logo art, and picture or line art in top left, next to or just below the main headline. Next create a sub-headline to reinforce the main headline. Then add the body copy with bullets stating benefits. Finish with a call to action, phone numbers, website address, or coupon offer that's a super deal. 4. Consider what color copies printing are motivating. 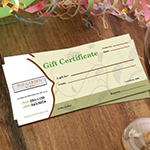 Use full color copies printing that you need to maintain your brand or image, or perhaps colors for a holiday theme. Whatever you decide, please make sure you have good contrast. 5. Include coupon offers. Give the greatest deal you can. "I never thought that my color copies will be such a good quality. "Wow ! your color copies did great job for my business. Thanks!" I had color copies for my trade show event and they came out great. Thanks to Printing Xpert! What type of folding options do you offer for Color Copies? We offer half-fold, tri-fold, or flat (no fold). Choosing one side prints on one side, getting all the information right way to your customer, leaving other side blank. Choosing both sides prints on both sides which can help you put more information on your copies and give it more professional look. We offer 20lb paper to 100lb paper. 20lb is the best way to go. Glossy paper makes your design look shiny, professional and adds beauty to it. Half fold (which is one paper folded in half).